The next installment of Project Chicken involved using up the leg and thigh meat. 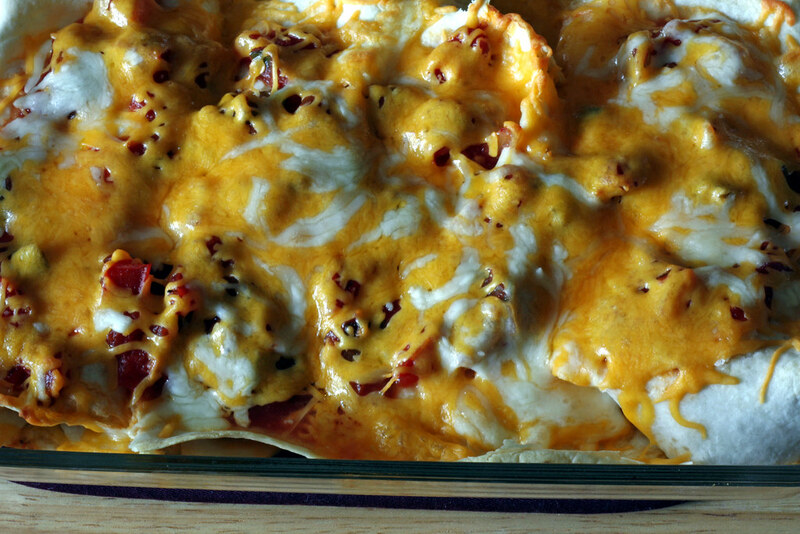 These are by no means traditional enchiladas, but they’re fast & easy, and you can assemble everything the night before and just bake them for dinner. Served on top of a bed of lettuce, and you have a nice meal. Add a margarita, and you can even invite people over for dinner. Heat a small skillet with olive oil over medium heat. Dice the onion and poblano, add to skillet. Season with chili powder and a dash of salt. Saute until soft, about 10-15 minutes. Remove from heat. In a medium bowl, mix the cream cheese and 4 ounces of the salsa. Add the cooked onions and poblano peppers, stir to combine. Stir in the shredded chicken. Spray a 7×11 glass baking dish with cooking spray. If baking now, preheat oven to 400*F.
Place a generous spoonful of the chicken in the center of each tortilla. Roll the tortilla up and place seam side down in the baking dish. Repeat with remaining tortillas until all of the chicken is gone. (If baking immediately, proceed with the recipe. Otherwise, cover the baking dish with plastic wrap and refrigerate up to 24 hours.) 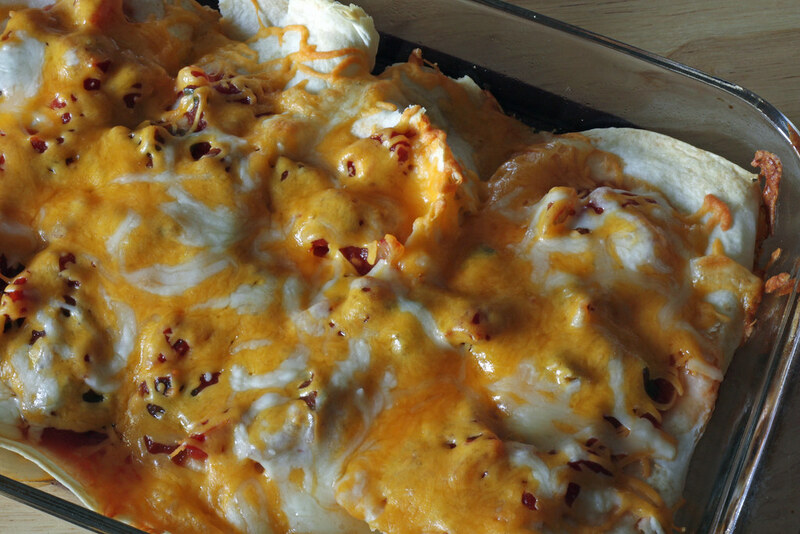 Top the tortillas with remaining salsa and shredded cheese. Bake for 20 minutes or until cheese is bubbly. If baking the next day, remove plastic wrap from the baking dish and top the tortillas with the remaining salsa and shredded cheese. Cover with aluminum foil and bake at 400*F for 30 minutes. Remove the foil and bake until the cheese is bubbly, about 10 minutes.